It is fall already, where did the summer go? 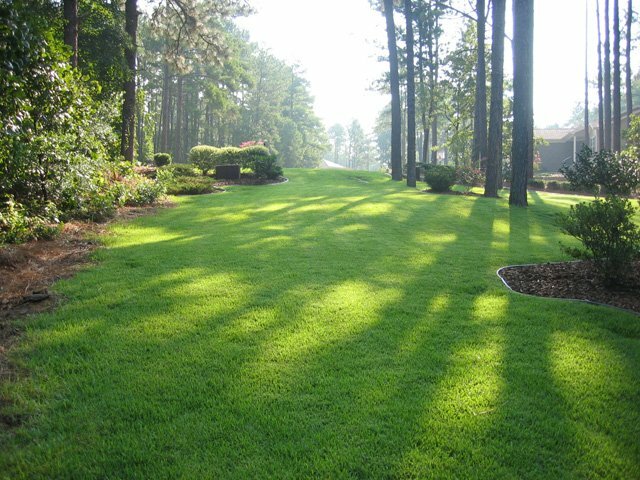 As we start to approach the cooler weather our lawn chores, at least if you have a zoysia lawn, becomes much less. This is the time of the year you can enjoy some outside activities or just sit back and relax! This is one of the great advantages of having zoysia grass. 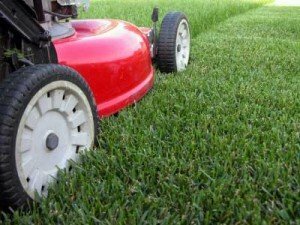 If you live in an area where the temperatures get cold, over the next few weeks you will be doing your final mowing for this year. After the final mowing and the weather gets cold enough, zoysia will go dormant, turning a tawny brown color. But, you will not have to worry about the looks of your zoysia lawn over the months ahead, it will keep a very manicured look and be worry free! 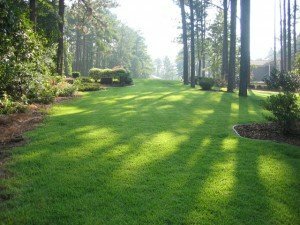 To have and keep a beautiful zoysia lawn, there are a few steps you should take before the grass goes dormant. It is a good practice to fertilize your established lawn in the early fall in advance of any frost. If you have not fertilized and it is still early enough, you may want to apply a water soluble fertilizer, such as our Nutri 20. Please do not use granular fertilizer, some of them can destroy zoysia grass. Remember to always read the label before applying anything to your lawn to ensure the product is safe for zoysia grass. This is the time of year you would also apply a pre-emergent to kill the weed seeds that are already in the ground for the spring weeds. Appling a pre-emergent now will save a lot of time in the spring and summer and prevent most of the spring weeds from ever germinating and growing. After these task are completed, sit back and enjoy the rest of the fall and winter months, you are finished with your zoysia lawn tasks until the spring!